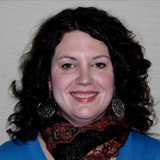 Jessica Giffin, is a Research Associate at the American Institutes for Research and serves as the Communication and Dissemination Lead for the College and Career Readiness and Success (CCRS) Center. In this role she manages the marketing and dissemination of the Center’s products and resources, promotes the Center’s technical assistance activities, oversees the blog, and manages the CCRS Center website. Giffin provides technical assistance support to states and districts implementing policies and iniatives related to educator effectiveness and college and career readiness for both the CCRS Center and the Center on Great Teachers and Leaders. Giffin supports the development and implementation of educator evaluation systems in several states and conducts qualitative research on educator effectiveness and the integration of college and career ready standards and educator evaluation systems. Giffin earned her master’s degree in political science from Ohio University.